We just got back from our first drive of the all-new BMW 4 Series. And while we loved it, we felt ourselves yearning to get behind the wheel of both an M4 variant and a convertible. Delightfully, we might not have to wait very long for either. Recently, we reported BMW’s M4 tech specs and, shortly following that, a rumor that the exacting German automaker has plans for an even more extreme M4 in the production pipeline. This just left the 4 Series Convertible. Well, here it is, folks. As you can (or, rather, can’t) see from the photos, by way of Car Scoops, the 4 Series convertible will retain the metal, folding hardtop of the outgoing 3 Series Convertible. This means you’ll be able to enjoy open-top motoring without having to deal with the noise of a cloth roof. How choice! Just like the rest of the 4 Series line, the Convertible will likely be offered in a slew of engine and transmission options. No word, though, if a diesel variant will make its way to the States. Though, we sure hope so. 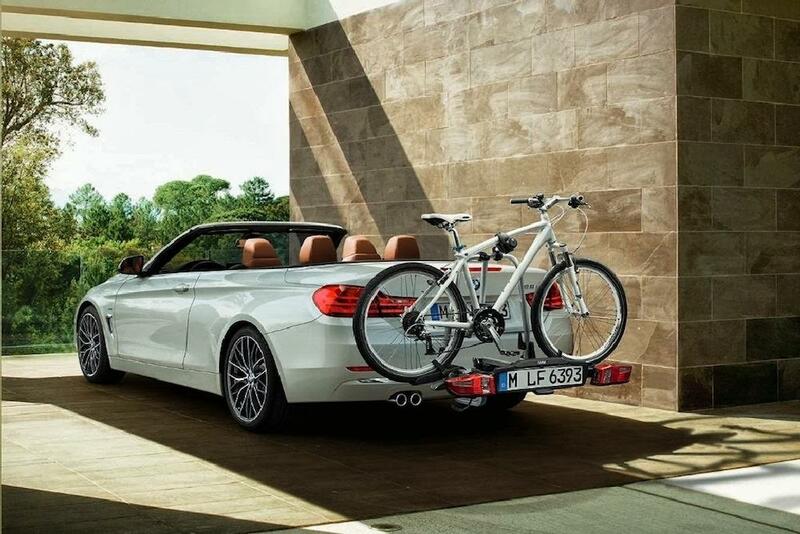 If you’re wondering why a bike rack is featured so prominently in the pictures, that’s likely due to the fact that these photos were snagged from the forthcoming accessories brochure. While we don’t know when BMW will officially drop the top on the all-new 4 Series, it’ll likely be this fall. Perhaps at the Los Angeles Auto Show in late November? We’ll have to wait and see. We’ll be there on the show floor, though, so check back for our official report. 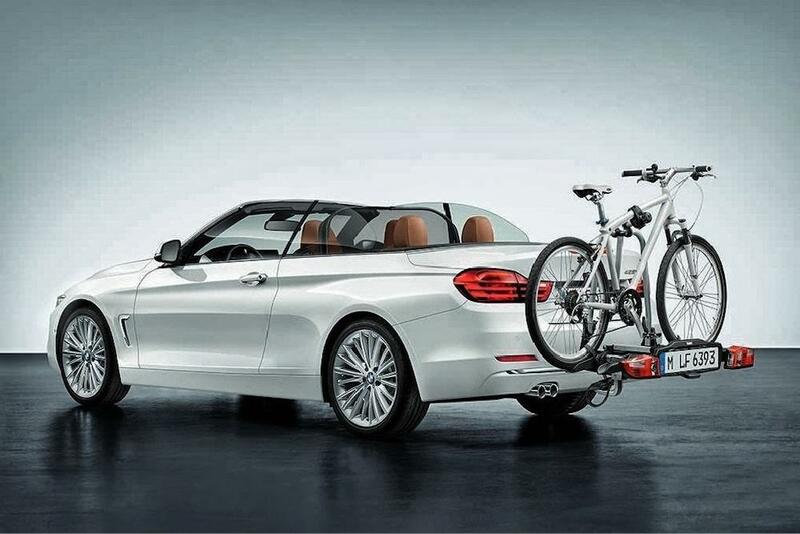 As an aside note, did you see that Bimmer bike rack with an extra license plate, turn signals, and brake lights? How delightfully dorky is that? It’s like the automotive version of the fanny pack. And we know how popular those are with the Germans. All that’s missing is the car equivalent of some socks with sandals.